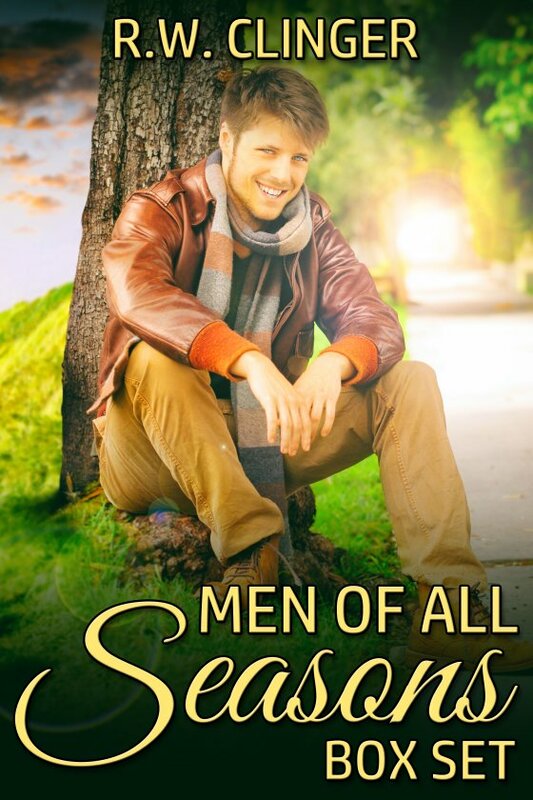 Men of All Seasons Box Set by R.W. Clinger is now available! The Fine Art of Reading Riley: While out shopping on a winter’s day, Stone Daye bumps into Cameron Phillips, an old friend and former lover who now works as an administrator at a local college. The two have a heated and romantic history, and seeing Cameron again brings it all back for Stone. Old feelings are stirred up again, but are the fiery embers of their previous relationship strong enough to ignite a new romance together? Mr. Hideaway: In spring, Josh Hideaway is taking a much-needed break at his family’s cabin, where he meets ranger Zeth Mandell, his neighbor by the lake. A pack of dangerous coyotes brings Josh to Zeth’s rescue. Will something more than friendship blossom between the elusive Mr. Hideaway and the ranger? Sometimes hiding out is the only way to fall in love. Autumn Cliche: When writer Chad Best heads to Haven Island to interview the famous Finn O’Rourke, he learns there’s a softer side to the reclusive artist. To Chad’s surprise, Finn woos and seduces him. When his visit comes to an end, will Chad choose to return to his busy life, or stay on the artist’s island with a man he might love? 20 Days of Tuck: During twenty days of a particularly hot summer on the shores of Lake Erie, Micah and Tuck fall head over heels in love. A year later, life has unexpectedly changed for Micah. He meets and falls hard for Carl, a witty, romantic guy along the lake. What will Micah do when various ties between his twenty days with Tuck and his current days with Carl begin to unravel?